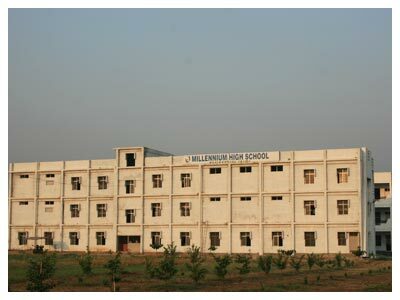 Millennium High School is an English Medium residential School that provides education for students of 4th to 10th classes. It was established in the year 2000 by Mr. Mogili and CO. The Pallottines have taken over the school from October 5, 2006. Fr. Gilbert Mascarenhas was appointed as the pioneering in-charge of the School and Fr. Jojappa Chinnabathini to assist him. The lush green 19 acre school campus with separate infrastructure for the class rooms and hostel provides quality education, with special emphasis on discipline, responsibility. The school that started with the strength of 482 students has now 660 students hailing from different parts of Telangana. This outstanding school has a very humble beginning in 2000-2001 with only 8 students in a small shed closer to the present school. The land for the school was bought in the year 1991; however the construction of the school began only in 1999. The person behind this magnificent project is Fr. Philip Ettamparampil. Fr. Paul D’Souza a well qualified person in Education is the person behind the academic side of this school. When the first part of the building was ready the children were moved into the new school building. Over the years the untiring work of Fr. Philip brought a magnificent atmosphere to the school campus. Fr. Paul continues to work as the principal of the school. Today this school stands as an outstanding achievement of these two confreres. At present there are about 2600 students benefit out of this school and staff work hard to keep up the standard and discipline of the school. 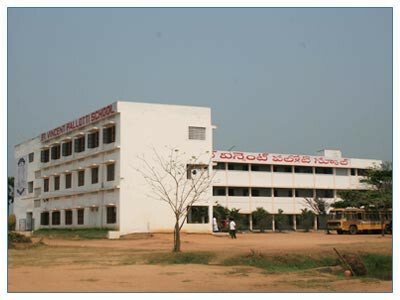 A long cherished dream to have a school of our own in Andhra Pradesh began to get shape in the year 1998. Fr. Thomas Kurusappan being the parish priest of Konkepudi took lot of interest in bringing this dream a reality. 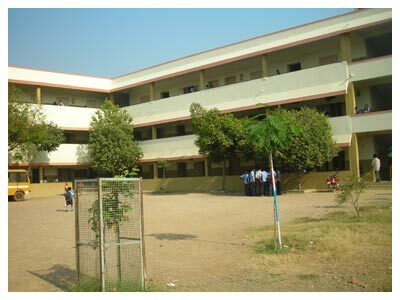 Accordingly about 8.86 acres of land was purchased and the new school building was blessed and inaugurated on August 12, 1999 by Rt. Rev. Marampudi Joji, the Bishop of Vijayawada. Since then the school had a gradual growth under the efficient guidance of Fr. Thomas Kurusappan, Fr. Kishore Babu Yadala and Fr. Valerian Sabbavarapu, Fr. Joji Reddy, Fr. Mariya Vara Prasad J. Today the school has up to 10th Class with the strength of 1150 Students. The school aims at serving the poor by educating their children from the villages. At present Fr. Jojapa Chinnabathini, is the Manager of the School and Fr. Marreddy Udumala is the Bursar and teacher of the school. 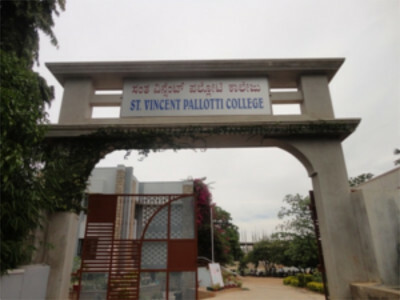 Having studied the scope for the school in Salem Steel plant area the Pallottines ventured in the School ministry in 1994. Subsequently Fr. Susayan Sathyanesan who was the director of ‘Pallottiyagam’ was entrusted with the job of buying the land and to construct the school. The first piece of land was bought in 1994 and the construction of the school started on September 13, 1995. 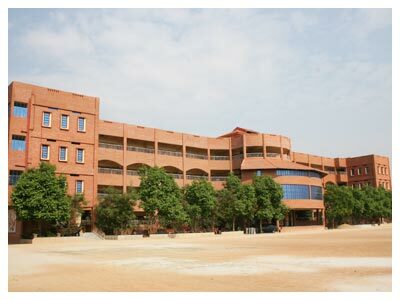 The new school was inaugurated on June 10, 1996 and Fr. Roc Gerald Majela became in charge of the school. In the following year 1997 Fr. Susayan was made in charge again. In the year 1998 Fr. 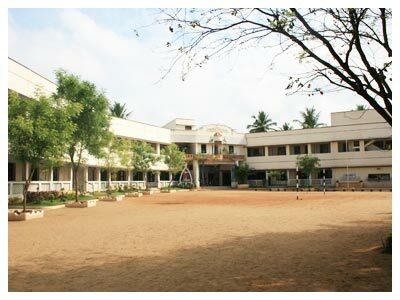 Joseph Thirukkudumbam took over as the Correspondent of the school and gave a real shape to the school. The main infrastructures of the School came during his time. After him Fr. Siluvai Edwin had taken over the school administration. He built the administrative block and had constructed a separate block and gave a facelift to the school entrance. It was during his time the number of admissions to the school and the standard of the school improved. Fr. Irudaya Paul Raj succeeded Fr. Siluvai Edwin. At present Fr. Arokiasamy Santhiago is the correspondent of the school. There are about 1750 students are studying in the school and 49 teaching staff and 24 non teaching staff beside the fathers are working hard to enrich the life of the students. The present Fathers staff consists of: Fr. John Britto – Correspondent Fr. David Lawrence. – Bursar & Teacher and David Amal Raj is the teacher.